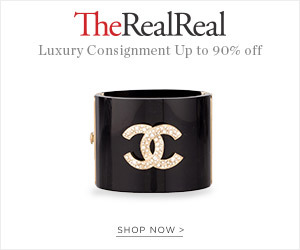 I love designer labels (hence the former name of my blog “Designer Deal Diva”) but I also really love unique items too. I love to mix high/low fashion. This is what happens when you find all your favorite jeans brands at your little neighborhood minority-owned consignment store in unique patterns 3 for $10! 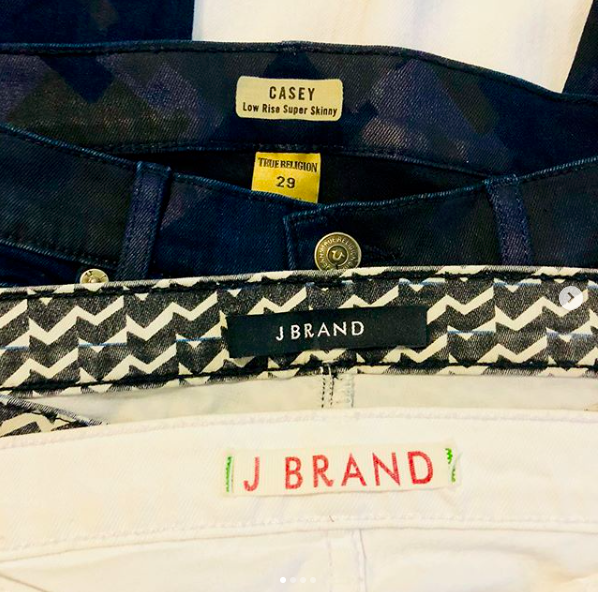 The jeans brands I scored are normally found in high end retail stores like Saks Fifth Avenue, Neiman Marcus, Nordstrom, Bloomingdales and Macys (and many more) for over $150 a pair! That’s why this particular find is so exciting. I frequent this little store because it’s literally around the corner from where I live in Mount Pleasant DC and it’s been on my Favorite Places to Shop list for quite a while. Check out the list in the right hand column for more information. Manolo Blahnik with Swarovski Crystals! Aren’t they just darling? When I’m not shopping from the sales rack at the department stores, you can find me in a discount store or my favorite thrift stores. I’ve always been drawn to designer labels but never paid designer prices. One of my favorite shoe designers is Manolo Blahnik (after my birthday twin, Salvatore Ferragamo of course). 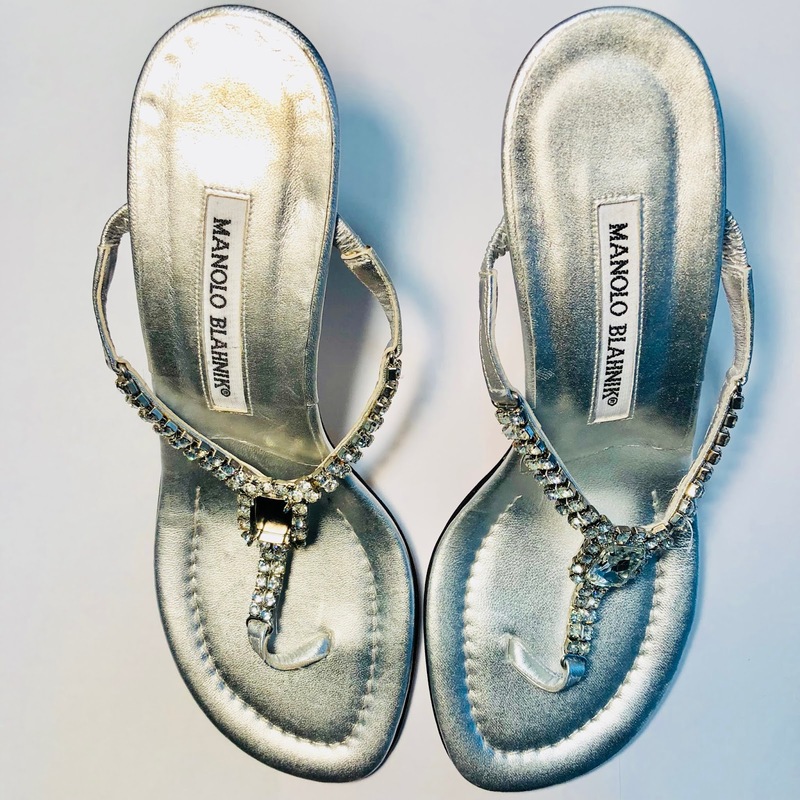 I have owned a few pair of Manolos and honestly, they are one of the most comfortable shoes I’ve ever owned. As I grow older, it is all about comfort for me. This is one of the reasons I’m not that big into Christian Louboutin. Louboutins are NOT comfortable! These beauties were found at a local thrift store for under $15! As you can see from the bottom, they are brand new. They only flaw is the missing stone on the right shoe. But that’s nothing a trip to Michaels can’t fix. Since I am at Michaels all the time buying items for DIY projects and designing jewelry. It’s no big deal for me to find the perfect Swarovski crystal gem to replace the missing stone. If these weren’t my size I would definitely sell them in the POSHMARK store for a profit. But luckily for me that fit perfectly! And I cannot wait to wear them! As for comparison, the retail value of these shoes lies some place between $700 – $1,000. This particular style isn’t being manufactured this year. However, here a pair closest to the design at a whopping $1,095! Here’s a list of my favorite thrift and secondhand stores in the DC area. Happy Sunday I’m Eating Healthier! As I grow older and older, I realize that it’s what I put into my body to give it longevity and vitality that becoming more important to me. So today, and hopefully this day forward, I committing to a better and more healthy lifestyle. 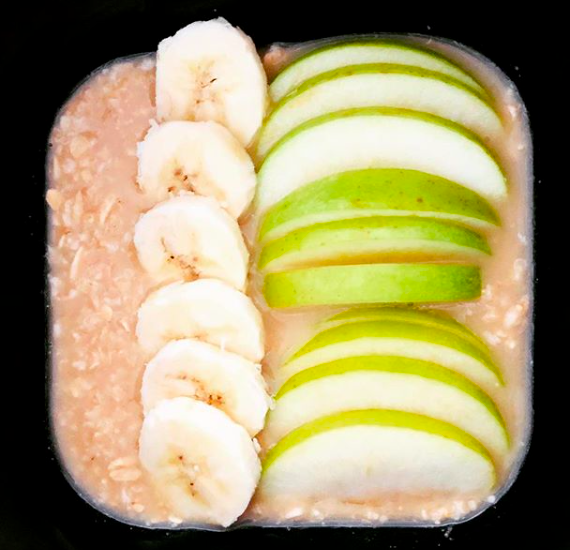 This oatmeal with bananas and granny smith apples is delicious and will hopefully give me the energy I need to get my Sunday errands done. Cheers to healthy living and lots of love! Speaking of love, the moments I share with loved ones feeds my spirit & brings joy to my heart. I’m thankful for those times. Just a friendly reminder to love hard on your loved ones, tomorrow is never promised. Just like many other fashionistas all over the world, I’ve been a longtime fan of the brand you created. 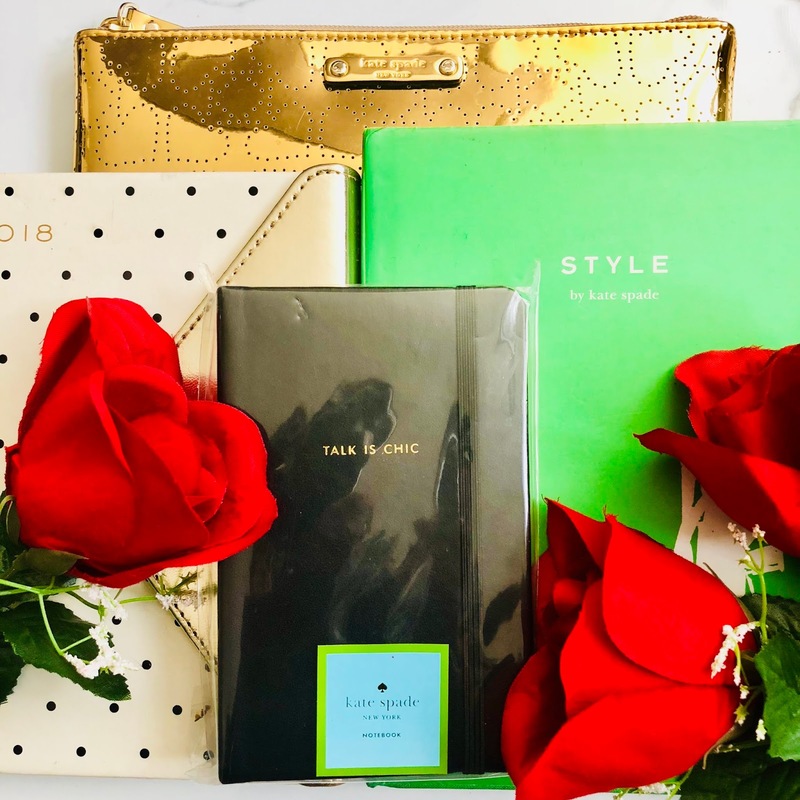 I have so many Kate Spade items from jewelry to handbags, books to homegoods. I always felt the brand reminded me of Tiffany Golightly from the movie Breakfast at Tiffany’s (one of my favorite movies!) and defined my vintage, girly, classic style. Yesterday was my birthday and as I celebrated my life my life, it’s so heartbreaking to know that she had taken her own. Mental Illness is a real serious issue; not just here in America but all over the world. 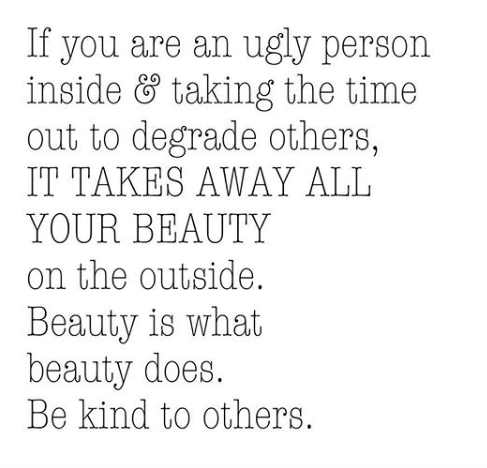 I always say that my favorite quote is “Be Kind. Everyone is fighting an internal battle you know nothing about”. Words can kill or cure a person, you never know. If you know someone that’s depressed, sad or having a really tough time thru lives obstacles, reach out to them, check up on them and ask them to talk to a professional if/when needed. If you are having feelings of self harm, please seek help. Rest in peace Katherine Noel Brosnahan. Astor Mediterranean of Adams Morgan is one of our favorite neighborhood places to eat. It has great food and it’s inexpensive. It’s definitely in my top 5 spots for neighborhood cheap eats. 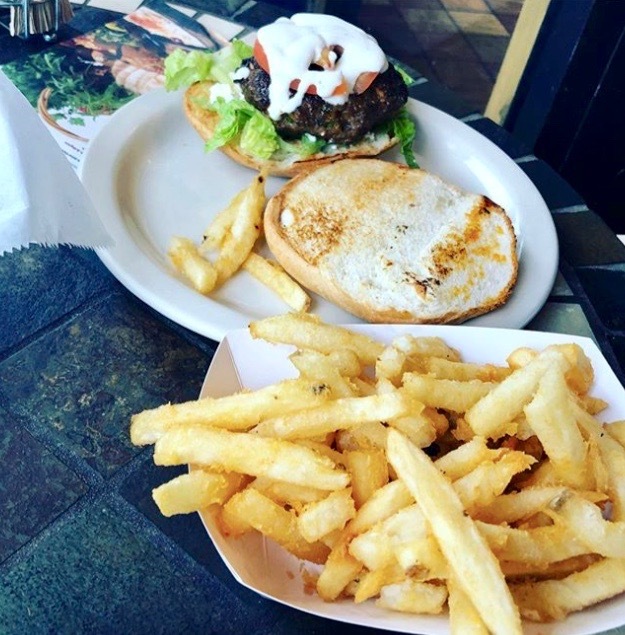 And although I don’t eat red meat, Bae does and absolutely loves the Astor Burger! I usually eat half of his fries because they are so light and crispy. There is so much on their menu to enjoy. I recommend the Eggplant Parmesan Panini, it’s sooo delicious. Also the Veggie Pizza and the White Pizza are some of my favorites. Remember to be kind to others. Everyone is fighting an internal battle you may know nothing about. And if you know about their battles and choose to belittle or make fun of them, it’s just as bad. I’ve witnessed the most beautiful & handsome people in the world become the ugliest monsters in the universe, instantly. There was a time in my life that I would join in with friends and family members that would put others down. Whether it was terribly criticizing their choices, saying demeaning things about their character and/or making fun of them in general, but I’ve come to realize that it’s just mean. I’ve learned that if you are socializing with someone that is always talking badly about another person in your group, chances are they are talking badly about you when you are not around. Oh, did you think you were special? Did you think that it’s only the two or three of you that talks badly about the person that’s not there? No honey, when you are not there, they are talking just as badly about you!!! So, just don’t do it. STOP IT TODAY! I know you can change because I have changed. Don’t bully people. Don’t be that person. Treat everyone how you wish to be treated. Superiority complexes are not the same as high self esteem. There’s no need to put others down to feel good about yourself! Yes the weekend is finally here and I hope you are getting ready to for fun times and enjoying it with wonderful and positive people. I’m trying to get better with posting more fashion inspiration. So here I am in my favorite color combo, black and White and my favorite designer accessories from my closet; Burberry Boots & Ferragamo Bag. Your Speed Doesn’t Matter Forward is Forward! One of my “bestest” friends always says “Comparison is the Thief of Joy”. So just as I need to I wish the same for you to stop comparing yourself to everyone else’s journey. Your path is yours alone. God made it especially for you. So keep moving forward and don’t worry the speed. Progress is progress. Be proud of your forward movement. Life is full of ups and downs, highs and lows. We all know the saying “What doesn’t kill you, makes you stronger”. But when we are actually going through tough times, it doesn’t seem like its making you stronger. It actually feels like its tearing you apart until God gives you the time it takes to pull through. Through God’s love and with the strength that God gives us, we become stronger and better through the challenges of life. Believe me, as I go through these tough times, I know that IT GETS BETTER. I know it will for you too. 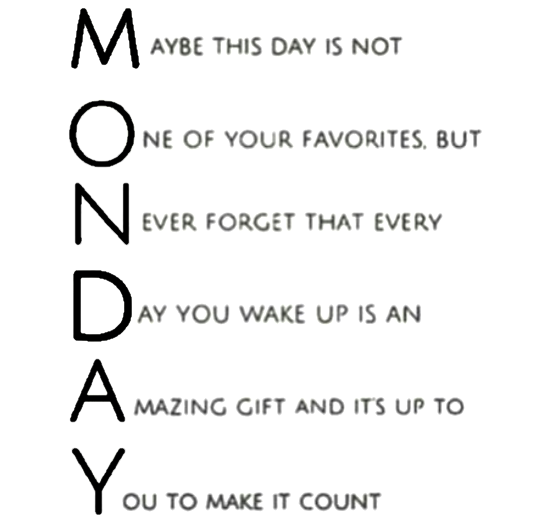 Monday may not be One of your favorites, but Never forget that every Day you wake up is an Amazing gift and it’s up to You to make it count!